Thunderhawk in Beach Park, is located one hour north of Chicago, and the same distance from Milwaukee. 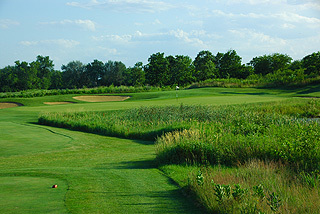 This Robert Trent Jones Jr. designed layout received 4 (out of 5) stars in Golf Digest Best Places to Play, and is considered to be the #4 ranked golf course in Illinois. It is a par 72, 18 hole 7031 yard layout, well deserving of this ranking with its immaculate conditioning and beautifully shaped bunkering. There are four sets of tee boxes per hole, that play to distances and slopes measuring 7031 yards/137 slope, 6631 yards/133 slope, and 6124 yards/128 slope for men, 136 for women, and 5046 yards with a slope of 123 for women hitting from the front sets. 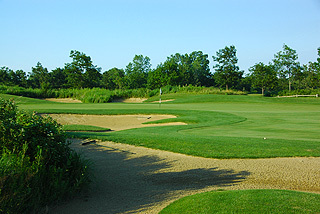 Thunderhawk has 65 sand bunkers of varying sizes and shapes that consist of soft sand and are beautifully sculpted. Water comes into play on 9 holes. 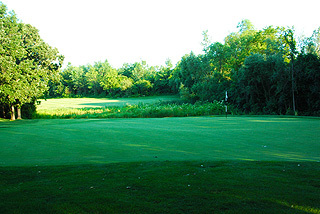 From the tees golfers will be challenged by water hazards, fairway bunkers, and the wide fairways that are narrowed by the long grass rough in the landing area on the par fours and fives. 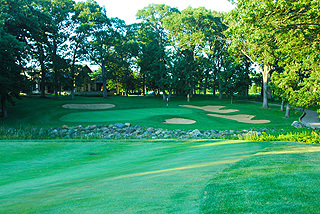 Sculpted sand bunkers guard the front and sides of the mildly undulating, fast paced greens. 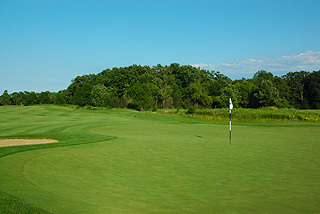 With some elevation change and mounding near most greens, up and down situations can be difficult. 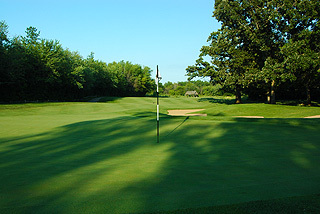 On property there is a fully stocked pro shop, locker rooms with showers, a restaurant and bar, an out door patio, and banquet facilities that can accommodate close to 250 people. 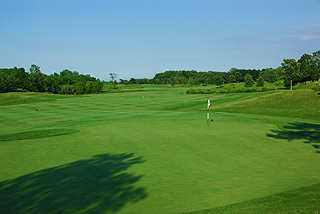 The practice facility consists of a targeted grass driving range, a short game area with sand bunker, and a large putting green. There is also a learning center with lessons available. 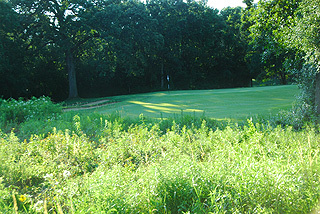 On course yardages are posted on the cart paths at 100, 150 and 200 yards from the center of the green on all par fours and fives. There are approximately 600 sprinkler heads which are also marked with yardage. Daily pin placement sheets are included in every cart, determining front, middle and back hole locations.